Written, directed and produced by Academy Award® winner Angelina Jolie Pitt, By the Sea serves as her directorial follow-up to Universal Pictures’ epic Unbroken. The dramatic film stars Brad Pitt and Jolie Pitt, who are supported by an international ensemble led by Mélanie Laurent, Melvil Poupaud, Niels Arestrup and Richard Bohringer. 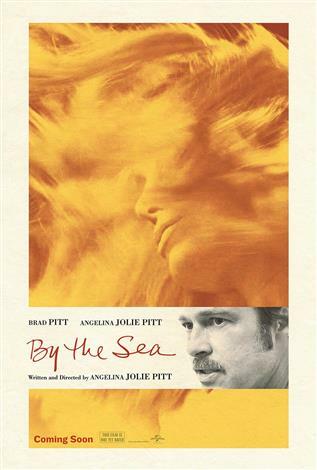 By the Sea follows an American writer named Roland (Pitt) and his wife, Vanessa (Jolie Pitt), who arrive in a tranquil and picturesque seaside resort in 1970s France, their marriage in apparent crisis. As they spend time with fellow travelers, including young newlyweds Lea (Laurent) and François (Poupaud), and village locals Michel (Arestrup) and Patrice (Bohringer), the couple begins to come to terms with unresolved issues in their own lives. In its style, and its treatment of themes of the human experience, By the Sea is inspired by European cinema and theater of the ’60s and ’70s. Jolie Pitt is joined behind the scenes by a key crew that includes cinematographer Christian Berger (The White Ribbon), who used his Cine Reflect Lighting System to shoot the film; production designer Jon Hutman (Unbroken); editor Patricia Rommel (The Lives of Others); and costume designer Ellen Mirojnick (Wall Street: Money Never Sleeps). Pitt joins her in production duties, while Chris Brigham (Inception), Holly Goline-Sadowski (Unbroken) and Michael Vieira (Unbroken) serve as executive producers.